I JUST CHECKED MY ACCOUNT BALANCE AT THE ATM. IT PRINTED ME - ProudMummy.com the Web's Community for Mums. I JUST CHECKED MY ACCOUNT BALANCE AT THE ATM. 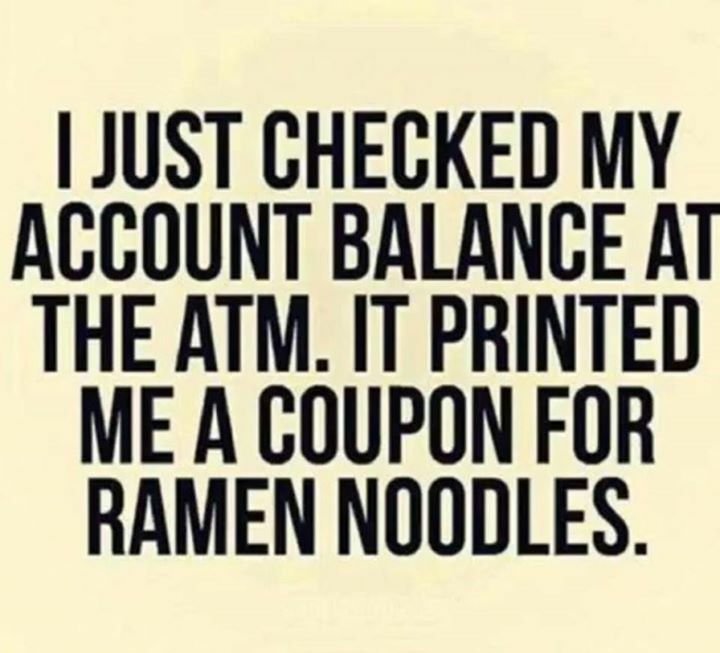 IT PRINTED ME A COUPON FOR RAMEN NOODLES. © 2015–2019 - ProudMummy or its affiliates, United States. ProudMummy.com is operated by SocialX LLC, Products on ProudMummy.com are sold by third parties.